This tutorial does not match the newest program version. Path used by the software to find the images. This option can be overwritten by individual information for each object. If there’s no individual information available, the software looks in this path. 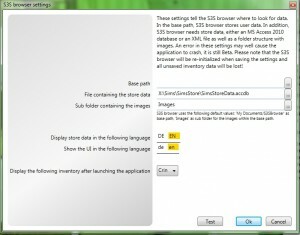 The name of the image is saved in the database itself. A list of these names can be found above. Testing the connection to the database. List of image files the program couldn’t find. The folder where all your downloaded Store sims3packs are stored (usually documentstheSims3Downloads). Since the database does not have all Sims3Pack info (especially if you have many sets and compilations), it can help to scan the DCBackup folder. If you regularly clean this folder out, there’s no use in doing that. Path of the folder (usually documentstheSims3DCBackup). Some Info about the currently running scan. 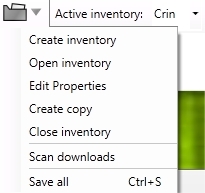 Shows you the current active inventory and lets you choose another one. The list only shows the ones that are loaded on startup (see inventory properties). Shows all compilations. The pie diagram below shows, how much of a compilation you own. If you click on it, all items in the compilation will be marked as owned. Shows how many percent of an set/compilation is marked as owned. Shows the sets in the compilation and some extra info. Missing pictures and Sims3pack names can be added by the user. The green part on the lower left shows how much of the compilation you own and if it’s still worth to buy. By clicking on the images of the sets, they are highlighted (shift-click to mark more than one set) and the info shows, how much those sets would cost. At the moment it’s not possible to unselect the last item. Shows the items in the sets and some extra info. 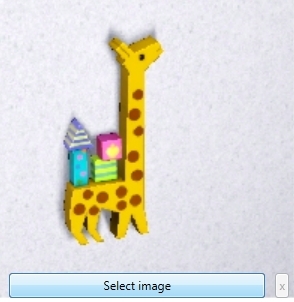 Missing pictures and Sims3pack names can be added by the user. You’ll also find links to compilations, super- and subsets. The green part on the lower left shows how much of the compilation you own and if it’s still worth to buy. By clicking on the images of the items, they are highlighted (shift-click to mark more than one item) and the info shows, how much those items would cost if bought individually. At the moment it’s not possible to unselect the last item. Shows information about the items. 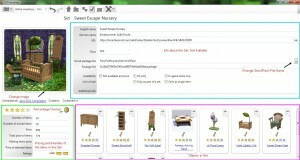 Missing pictures and Sims3pack names can be added by the user. You’ll also find links to the sets the items are in. The green part on the lower left can be used to add individual info about the item. Those are saved with the inventories. If you name your pictures accordingly and copy them in the image folder in the base folder, the program will find and display them. The names consist of the english name (without special characters). Item pictures are png files, while sets and compilations are jpg-files. 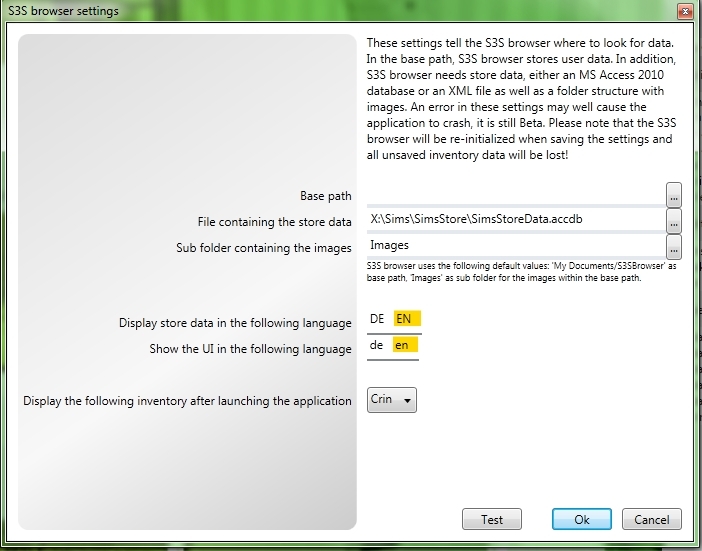 Make sure you have the correct sub-folders within the image folder (see Installation & Startup). A complete list of all the file names can be fond here: Excel-List. If you want to have a different name or place, you can save an individual picture for each compilation/set/item. This information is saved in a separate file. The program first checks this file to see if there’s any image information available, if not the information in the database file is used. To save your individual picture, click on select image underneath the current picture and choose the picture from your hard disk.